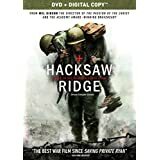 Hacksaw Ridge is based on the true story of WWII American Army Medic Desmond T. Doss (Andrew Garfield), a pacifist who joined the army and served during the Battle of Okinawa. Doss refuses to kill people and even refuses to carry a weapon, but he still receives the Medal of Honour without every having fired a shot. Doss thought it was his duty to serve his country, but his religion (he was a Seventh Day Adventist) clearly stated “thou shalt not kill”, so he enrolled as a medic. Doss suffered through the hardships of basic training where his fellow soldiers hazed him to drum him out of their outfit, a court-marshal hearing because he would not pick up a weapon for any reason (including training), and finally to the battlefield where he witnessed the horrors of war first hand. This was one of the better looking “war films” that I have seen. The visuals were graphic, but authentic looking. The sound was incredible. The tone of the story and the pace of the action were both exceptional. I’m not a big fan of Andrew Garfield (I really didn’t like his Spider-Man, or more specifically his Peter Parker), but he did a very good job playing Desmond Doss. The performance came across as very real and very believable. Teresa Palmer was very good as his wife Dorothy, as was Hugo Weaving as his father. A pleasant surprise came in Vince Vaughn as Sgt. Howell who we first met at basic training. Howell originally seemed to be against Doss, but you could see that he was really just acting out of concern for all the soldiers in his company. He may not have agreed with Doss’ thoughts or morals but he did always treat Doss fairly, even if he was a little rough. Eventually he does understand Doss and recognizes the courage inside him. The film wasn’t perfect of course, there were a few liberties taken. The film makes it appear as though Doss rescues 75 injured men in a single night, but in actuality this occurred over the course of several weeks and many battles. I understand making that change, it does make the story flow better. I though the film looked very authentic, but was disappointed to see that a lot of the battle “blood” appeared to be CGI. I think for all the trouble they went to of making practical effects for the fighting and the stunts, they would have used old fashioned blood packets too. Ah well, CGI blood is a lot cheaper than fake blood and squibs, and the film was done on a relatively small $40 million budget. All in all, it was a very interesting look at a story I didn’t know anything about. Bottom Line: It’s safe to say that Mel Gibson has had some problems over the last ten years or so, but Hacksaw Ridge shows that he is still one heck of a director. I was a little surprised by Delivery Man after seeing the trailer, it was not a typical Vince Vaughn comedy. After seeing the commercial I figured it would be an hour and a half I would never get back, but the trailer seemed to show that there was a bit of heart behind it, and thankfully the movie upheld this. Vince Vaughn plays David Wozniak, a man who donated sperm nearly six hundred times under the anonymous user name “Starbuck” some twenty years ago. An affable underachiever he finds out there was an error at the clinic and he is the biological father of 533 children. Now when 142 of them file a class action suit against the clinic and “Starbuck” to learn the donor’s identity, he must decide whether or not to come forward. Of course he does, but not by revealing himself to be the father. He begins to play “guardian angel” to some of them, by randomly pulling their bio sheets from the court files he’s been served with. Slowly he gets to anonymously know his children by becoming a friend and posing as the adoptive father of a handicapped young man who is another of “Starbuck’s children”. David is not entirely a saint though, as he is $80,000 in debt to some shady characters who threaten him and his family; his on again-off again relationship with his girlfriend Emma (Cobie Smulders) is more off than on, until she learns that she is pregnant and would rather not have the irresponsible David be in her and her child’s life. The story does become a little predictable as David wants to be a father but she won’t let him; then he discovers he has 533 kids already. His interactions with the “Starbuck children” make him a better person, and of course responsible enough to be in Emma’s world. The story certainly wasn’t difficult to follow or predict, but it was still told quite well and was quite amusing at the same time. Vince Vaughn is quite relaxed and natural as Wozniak, and plays it quite earnestly. Delivery Man is a remake of the 2011 French-Canadian film Starbuck, and from my quick bit of research wasn’t changed a whole heck of a lot, which makes some sense as both were written and directed by Ken Scott. Remakes are a tricky thing, I suppose the best thing about this case is that by making Delivery Man a “big” Hollywood film with mainstream stars, it does open the story up to a much wider audience. That being said, I’m going to search out the original just to see what the story started out as.